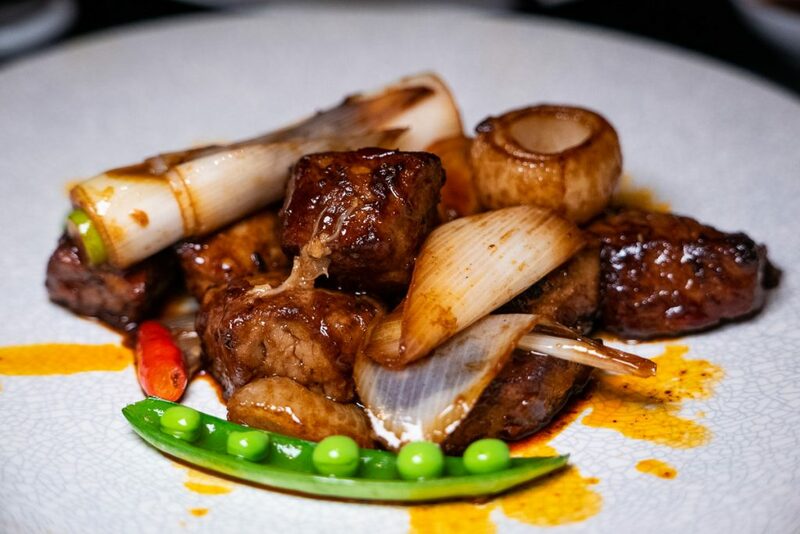 Hakkasan Shanghai is serving an 11-course Chinese New Year menu that checks all the boxes for lucky CNY foods and Hakkasan signatures, available now until February 19. If you’re hanging around Shanghai during Chinese New Year or want to sample this menu after, I highly recommend it. How Much is the Menu? The 11-course set is ¥1,288 per person plus 10% service charge, minimum booking two persons. Another set is also available for ¥888, with wok-fried tiger prawns instead of abalone and lobster. For the price, I have to say it’s a lot of high quality product, cooked with finesse, skill, and care, and is absolutely worth it. 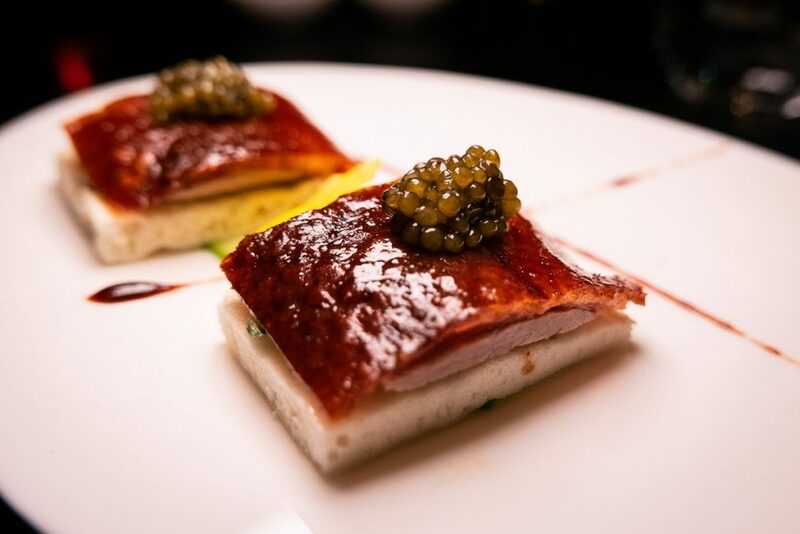 The set starts off with their most iconic signature dish, the Crispy Duck with Imperial Caviar. It’s a magical combo of crispy duck skin, duck meat, briny roe, and salty-savory hoisin sauce on a steamed bun. 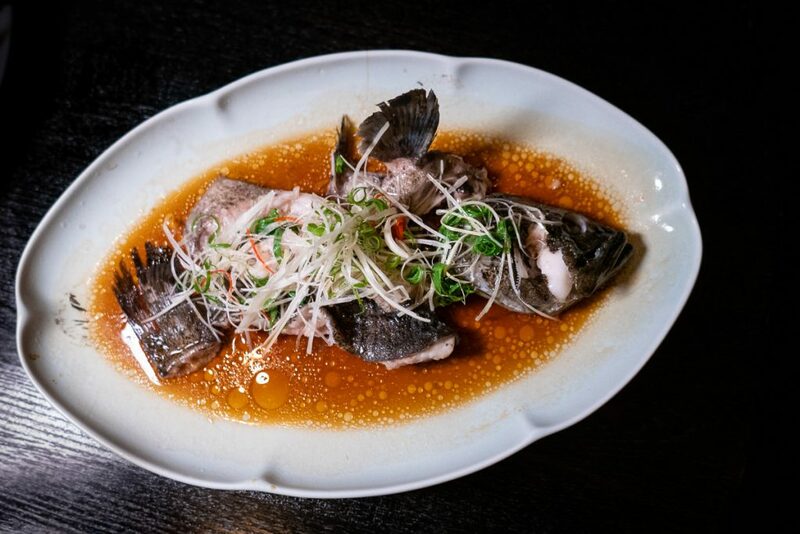 You can’t go to Hakkasan and leave without eating this. It’s absolutely divine. Dim sum is the next course. 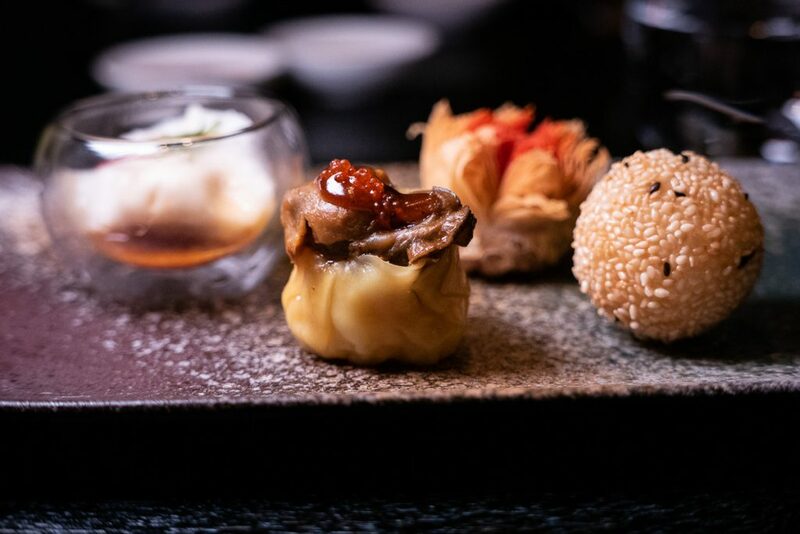 The menu has now three bites instead of four, but they’ve kept the star of this medley—the oyster fa cai siew mai, a little purse of wagyu beef topped with rehydrated oyster and “fa cai” seaweed. 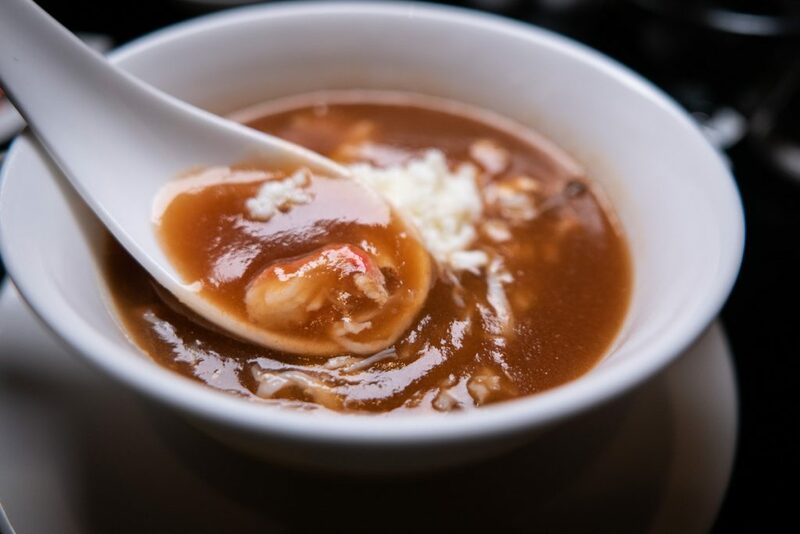 The dried oyster brings back memories of Cantonese soups from home (KL). Next is a crab soup with fluffy egg whites. It’s a little sour but not at all overpowering and the delicate slivers of crab are moreish. Egg and crab a little sour but not over powering. It’s like a warm hug in the winter. 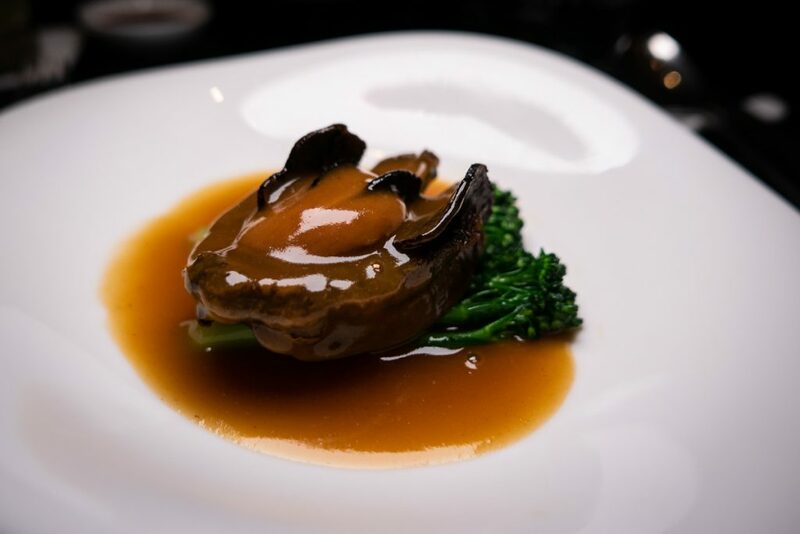 One of the best bites is the whole Chilean abalone glazed with truffle sauce, served with lightly blanched broccolini. The abalone is so tender, velvety, and umami-rich it’s enough to make me blush. There’s just something about shellfish like this that’s so sensual. Also, you’d want to finish off that sauce. God, this abalone dish is so luscious. 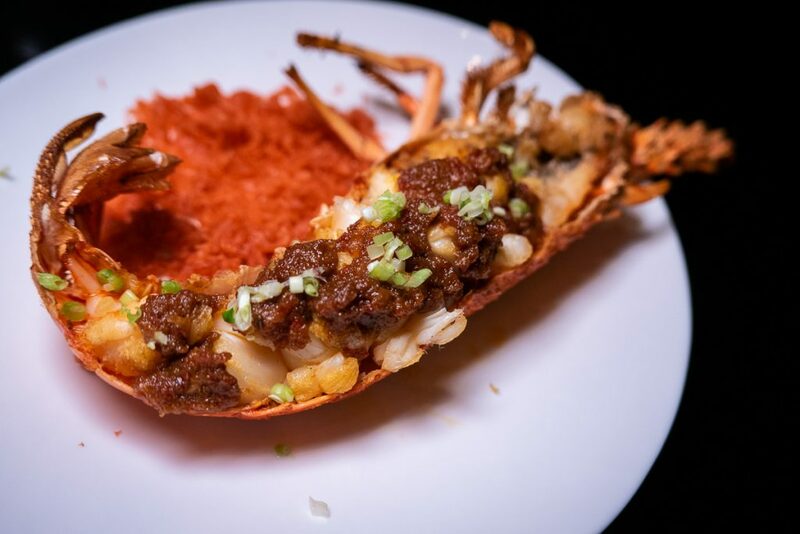 The set continues its steady pace of premium CNY-appropriate dishes with grilled Australian lobster topped with spicy bottarga sauce. 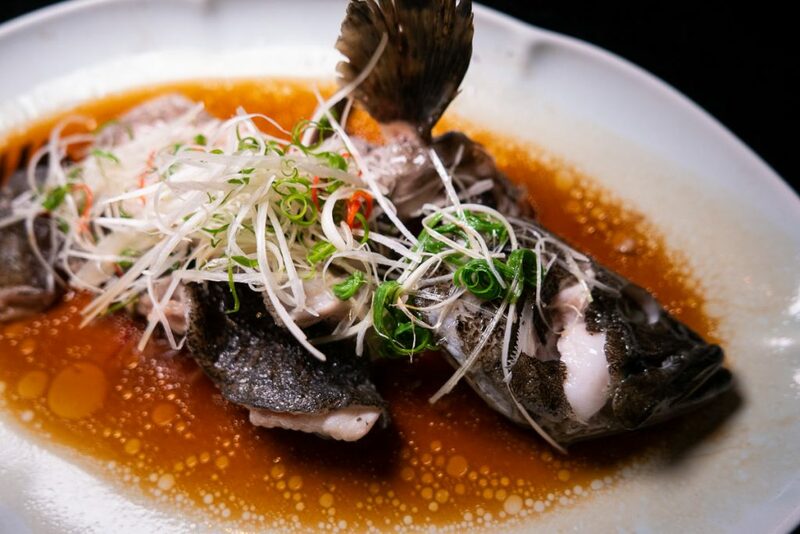 One of my favorite Cantonese dishes is steamed grouper. A menu is never complete without some vegetables. 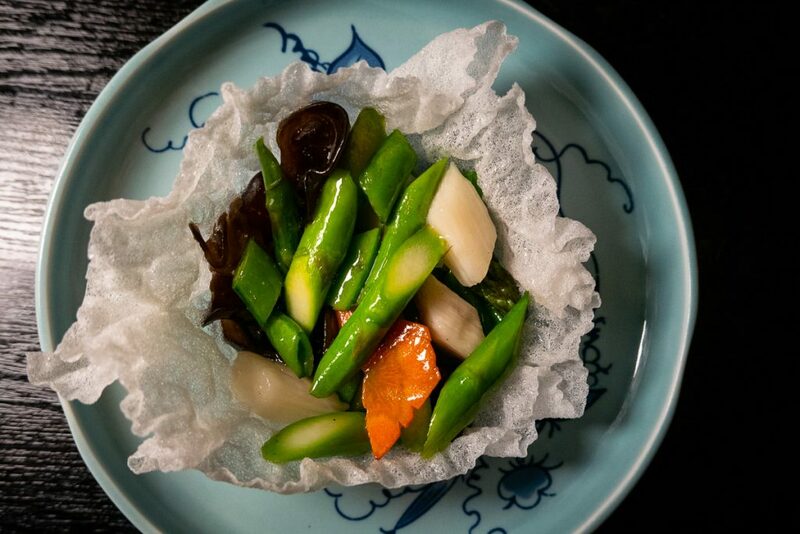 Next dish is asparagus with sugar snap peas, black fungus mushrooms, and yam. 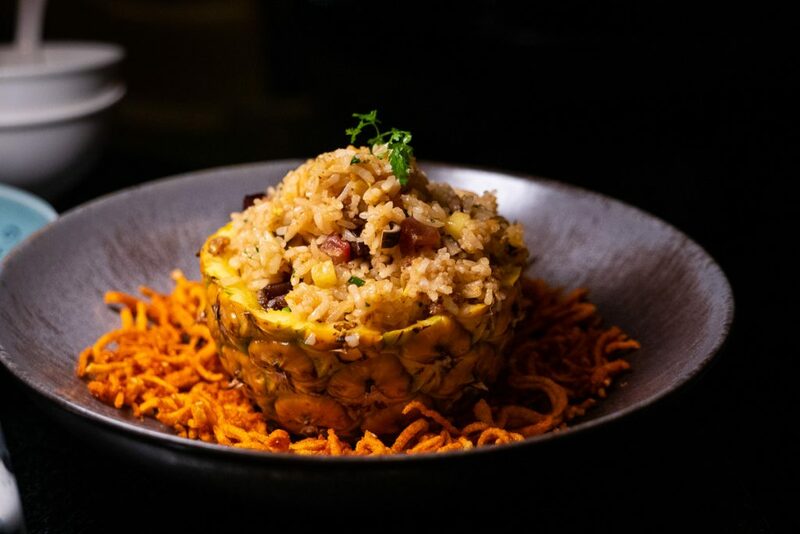 Fillers always come at the end of a Chinese meal, and you’d want to save space for the fried rice with “lap cheong,” a sweet, smoky sausage that’s common in south China, Hong Kong and Southeast Asian Chinese cooking. Wokhei (breath of work) adding its smokiness into the rice. 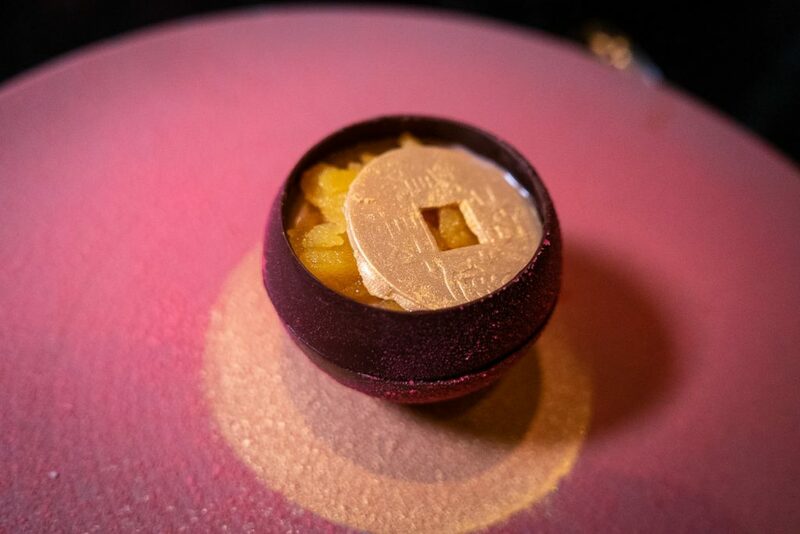 The dessert, “Wealth Pot”, presents layers of brittle biscuit, soft cake, mandarin sorbet, and soy caramel in a tiny bundle. 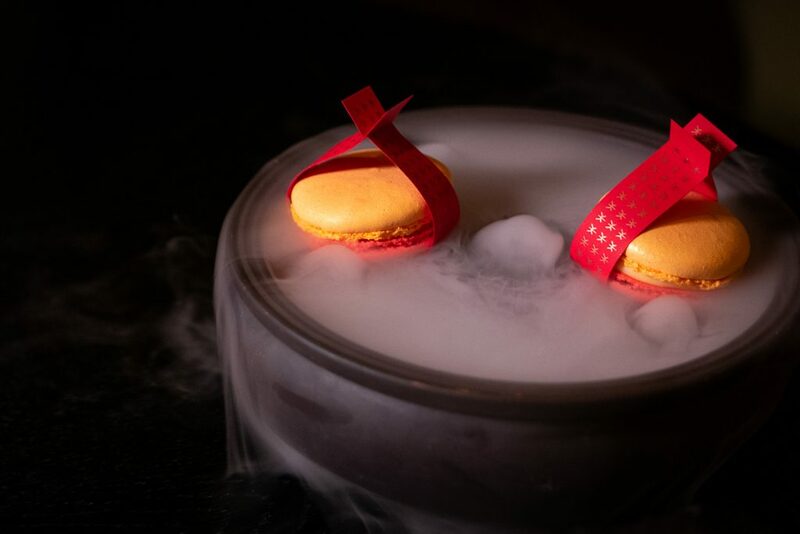 The Fortune Macaron ends the meal. 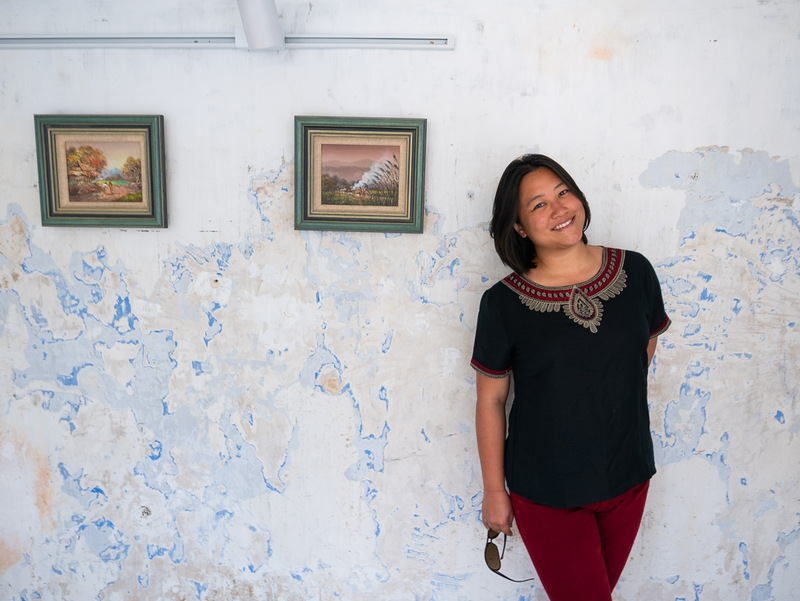 It’s wrapped with “fortunes” and well wishes penned by renowned lyricist Vincent Fang Wen Shan. His claim to fame is working with superstar Jay Chou. 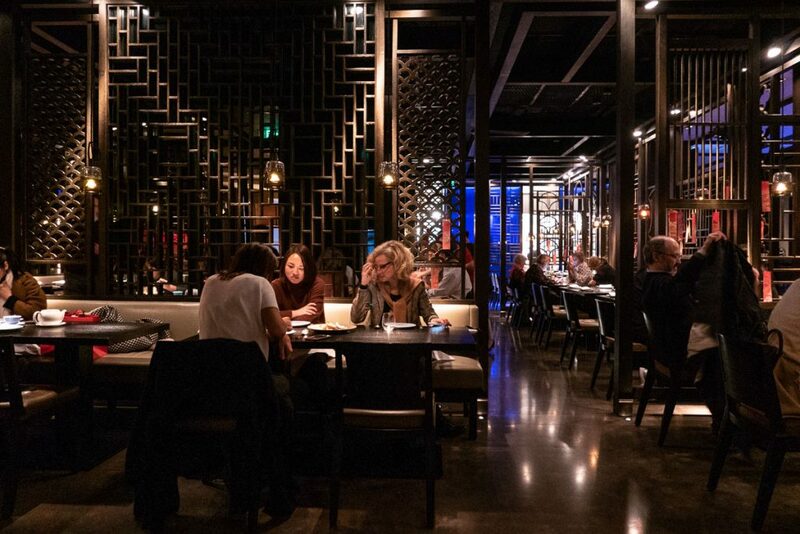 Hakkasan For Any Occasion, Really. Hakkasan is a machine. It’s a beast. 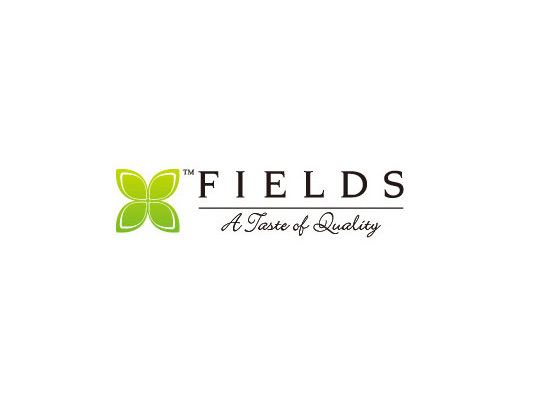 A long-serving in-house team who live by the same meticulously high standards of its international counterparts closely monitor their service and quality. 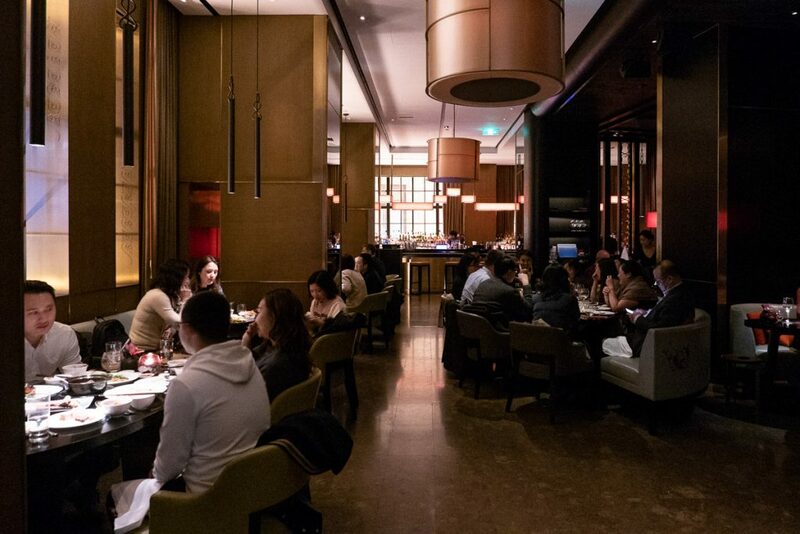 Which is probably why it’s packed every night and is neck-and-neck with Mr & Mrs Bund as one of the most successful restaurants on the Bund.